Bagels Lox and Tefillah Sukkot Pizza in the Hut Chanukah Purim on The Farm Misc. Meet the Staff F.A.Q. 's Vision & Mission MYTH or FACT? Yes! 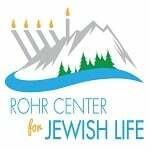 I would like to support the Rohr Center for Jewish Life. The generosity of our community, alumni, and friends is vital to RCJL-Chabad's continuing success. Your donation enables us to continue bringing our community the quality programming and educational projects you have come to expect from RCJL-Chabad, all the while empowering our generation's future leaders with the beauty and depth of our tradition. Please charge the above amount to my credit card each month. To mail a contribution, please mail to: Rohr Center for Jewish Life, 102 Highland Dr., Bellingham WA 98225. For additional sponsorship opportunities or to sponsor a student for the Holidays, pleasecontact Rabbi Avremi or call (360) 595 4971.